The US housing market data, building permits and housing starts will bring some volatility to the market today. 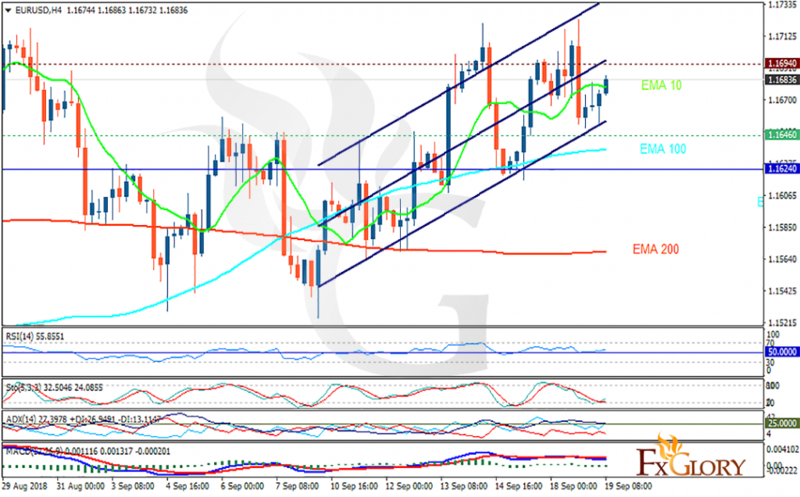 The support rests at 1.16460 with resistance at 1.16940 which both lines are above the weekly pivot point at 1.16240. The EMA of 10 is moving horizontally in the ascendant channel and it is above the EMA of 200 and the EMA of 100. The RSI is moving above the 50 level, the Stochastic is moving in low ranges, showing upward momentum and the MACD line is below the signal line in the negative territory. The ADX is showing buy signal. The indicators are showing mixed signals. The resistance level breakout will push the price up towards 1.18, otherwise, the price will fall towards 1.16.